NATO has confirmed there has been an attack in a diplomatic quarter of the Afghan capital, not far from the German embassy and US Camp Eggers. A military convoy was attacked at the entrance to the ISAF base in the diplomatic quarter of the capital close to both the German and Italian embassies, security sources told Reuters. The NATO-led force said only that there had been "an improvised explosive device detonation in the vicinity of Camp Eggers". Troops were sent in to assist. Witnesses said they saw helicopters. No casualties resulted in the attack, which was later claimed by the Afghan Taliban. This was a second blast in Kabul with the first one attributed to "a small mine". No injuries were reported in that incident, either. Earlier in the day, officials said a NATO soldier was killed in a Taliban attack on a joint NATO-Afghan base in eastern Afghanistan. A suicide bomber struck outside the base in the province's Ghani Khail district on Saturday morning. Five Taliban fighters then tried to storm the compound but NATO troops returned fire, killing all of them. 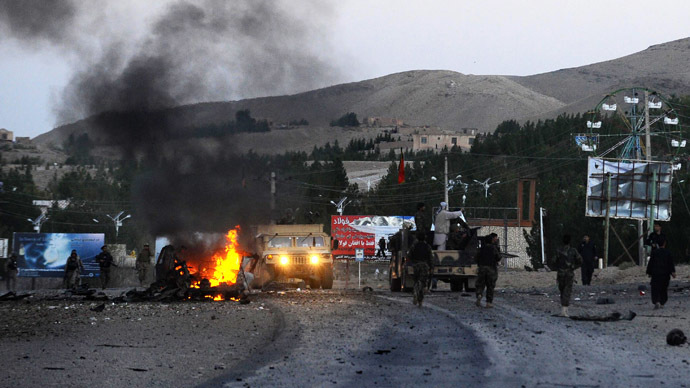 Taliban spokesman Zabihullah Mujahid claimed responsibility for the attack in an email to the media, AP reported. Afghan insurgents have intensified attacks recently in order to regain territory as foreign forces begin to leave. 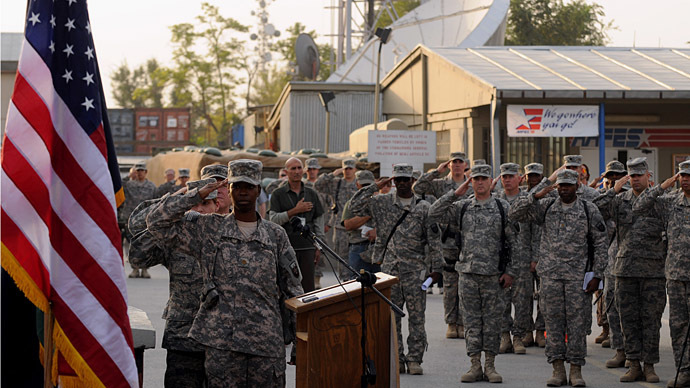 An intelligence report leaked at the end of last year calculated that the Taliban and Al Qaeda will begin to reassert themselves once US troops leave and that even if some US troops remain the security situation will dramatically deteriorate. At the moment there are still about 80,000 NATO troops in Afghanistan but by the end of 2014 there will be almost none, which has given rise to fears that the relatively poorly trained and equipped Afghan security forces will not be able to handle security.